My family is blessed to have financial freedom, but it wasn’t always the case. I always have been a good saver. My upbringing taught me independence. This independent thinking also brought curiosity which led to reading all sorts of personal finance books, learning anything I could get my hands on about money and I always found myself looking at the fine print of things when making decisions. My upbringing also taught me to be organized and personal finances was no exception. Maybe your story is slightly different, can you relate to one of these thoughts? Even though I felt I was doing the right things as the household money manager we didn’t seem to be moving the needle. Yes, the bills were getting paid, we were saving some for retirement, slowly paying off our debt, building our emergency funds, yet sat there puzzled as to why we hadn’t move ahead. We had a budget off and on, but never seemed to be able to follow it. Literally we were stuck and didn’t know how to get out of it. I was frustrated, seriously how could this be? After all I read and learned? I am an intelligent woman, so what gives? I decided to do some deep self-reflection and became more present in my awareness of our finances. I learned some hard messy lessons. Mind you, these money lessons didn’t just appear all at once. They seemed to have their own divine timing. 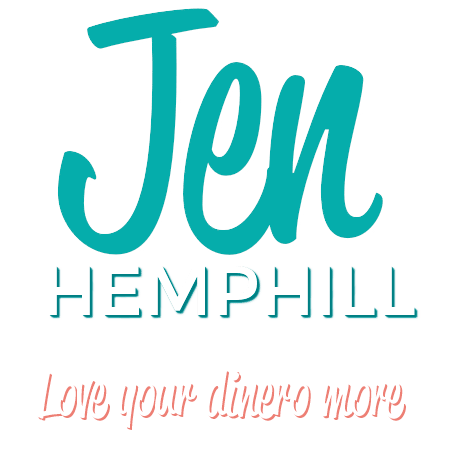 This led me to create my Fearless Money Sisterhood program which I will tell you about later. Let’s get to the lessons shall we? You’ve done this, right? Seriously who has NOT done this at least once. The problem was that I repeatedly said these phrases (or thought them). I realized that those words were limiting not only myself, BUT my family as well!! At this time I started to change those phrases into “how can we make this happen?” or “money flows easily to us”. Once I started shifting those phrases to ones that served us better things definitely started shifting for the better! ACTION STEP: Put 5 minutes on a timer and write down all the memories that flow in from your childhood about money. Have you you ever taken what an “expert” said put it into action and it didn’t work for you? I’m raising my hand right now. I was great getting all the nuggets and skills to manage finances, but I got stuck with tunnel vision. I didn’t see the light at the end of the tunnel. I waited and waited and finally got fed up, put all what I read aside and let it simmer. It hit me later….I needed to be more in tune to what we wanted vs what the “experts” said we should be doing. Once that happened I was able to see our money in different light. How we managed money changed and once that happened, our debt vanished. Our wealth building increased and the super tight budget ceased to exist! Plus, we started to follow one more consistently too. The feeling is incredible, just as incredible when you realize you have extra wiggle room in your jeans. ACTION STEP: What is the one thing that comes to mind that above all else you’d like to see happen for you, for your family? Write it down. This thing we call LIFE comes with all sorts of emotions that blur what we need to see. This is why when we are stressed or tired we make financial decisions that we regret later. On top of that when we are in this emotional state we OVERCOMPLICATE money. Money can be as simple as you make it or as complicated as you want it to be. If you are aware of your present emotions that are dictating your feelings about your money, then you can most definitely make money simple. Sprinkle in not letting Lesson #1 or Lesson #2 take over and you are golden! ACTION STEP: For the next 5 days take a moment at the end of the day to write down how you felt or thought about money that day. This is the lesson that I learned last, but honestly wished I had learned first. Unfortunately my pride and my stubbornness got in the way. 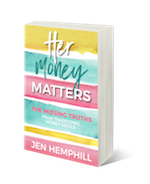 Through all of this journey towards financial freedom my husband was my “accountability partner” and who I discussed my thoughts and plans for our money. Had I had a group of like-minded people it would have been different. I had my husband but an outside fresh perspective would have served us better. Money needs to be easier to talk about. When get to this point and you talk about money this is when more magic happens. Your perspective shifts and you get to learn from others who are as motivated as you to get ahead with your finances. ACTION STEP: Make a list of 3-5 potential people you can trust and feel comfortable in having him/her be an accountability partner. Write down how you would envision this partnership! 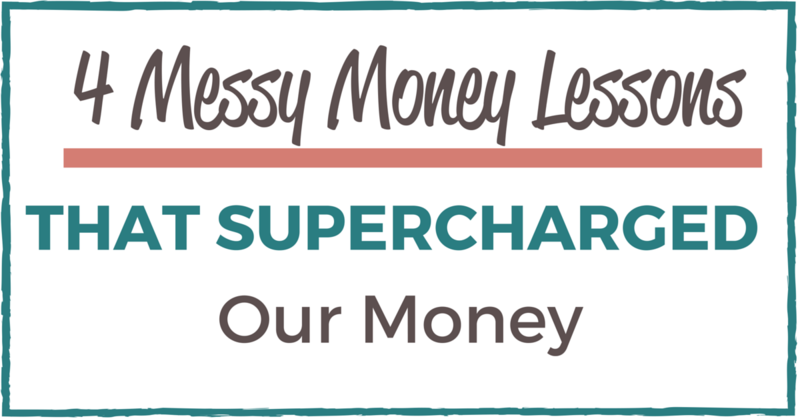 These 4 messy money lessons are why I created the Fearless Money Sisterhood monthly membership program! This program wasn’t created just to learn about how to manage your money better, but to provide you accountability AND an opportunity to grow. Mastering your money is a journey and one that is more fun when you do it with others. To get all the details click here.